Junior Fellows Program | Theopolis Institute | Bible. Liturgy. Culture. The Western world has grown decadent, well-advanced along the path of decay Paul describes in Romans 1. Because we do not acknowledge God or give thanks, God has delivered us to bewildering sexual, moral, and political confusions. Christians scramble to piece together the fragments of decency and godliness that remain. We frantically plug holes to keep the leaky ship afloat. That is not the need of our time. Sometimes a world must die, because God sentences it to death. We shouldn’t cling to corpses. Let the dead bury their dead. But the Father of Jesus is the God of resurrection. He always gives new, glorious life beyond the grave. At Theopolis, we believe the church is the Spirit’s instrument of renewal. Not the family, not the state, not the school, not para-church ministries, but the church. The church doesn’t refresh the world by power politics or gimmickry. The church is potent when she is herself, God’s city, called to transform the cities of men. She spreads God’s light and life as she hears and obeys His Word and worships Him with vigor and sincerity. Already we see glimmers of dawn – in the lively churches of the South, in pockets of faithfulness in Europe and North America, in devotion to Scripture, the church, and the Lord’s Table. To stoke up these flickers of vitality, the church needs visionary leaders, culture-makers who lay foundations for the future. We need leaders who follow Jesus by giving their lives for the life of the world. 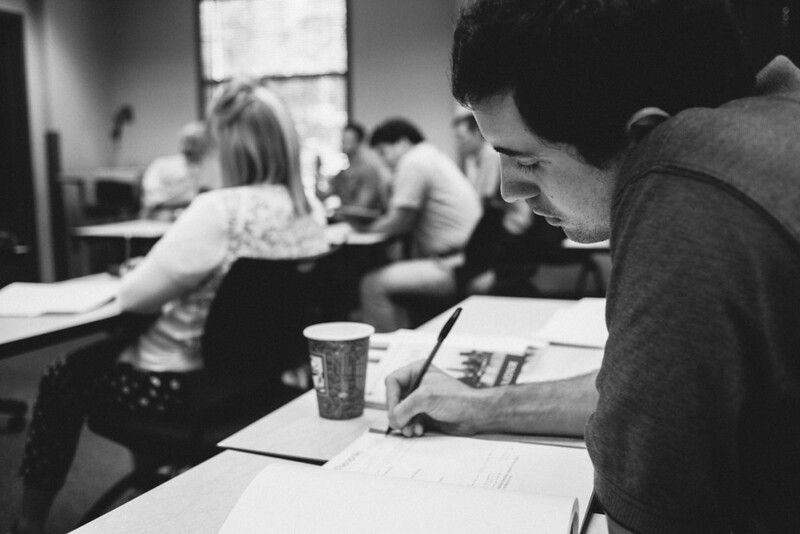 1) A Trinity Term session focusing on Biblical Theology, July 18-26, 2019, in Birmingham. 2) Online “Pesher Group” seminars, twice monthly, between August and December 2019, focusing on Biblical Theology. 3) An Epiphany Term session focusing on Liturgical Theology, January 13-17, 2020, in Birmingham. Trinity and Epiphany Terms will be intensive in-residence weeks, consisting primarily of lectures and liturgies. Required readings must be completed prior to the in-residence session. For Pesher Group sessions, students will be required to read a small book or article, to study one of a selected group of Bible passages, and to report on the results of their exegetical study. At the end of the Program, 3-6 outstanding students will be admitted to the Honors Program, which consists of a thesis project, written between January and May 2020 under the supervision of a Theopolis faculty member. Peter Leithart, President, Theopolis Institute (confirmed). Alastair Roberts, Adjunct Senior Fellow, Theopolis (confirmed). Rich Lusk, Pastor, Trinity Presbyterian Church (CREC), Birmingham. Jeffery Meyers, Pastor, Providence Reformed Presbyterian Church (PCA), Saint Louis, Missouri (confirmed). Liturgist: Caleb Skogen, Ordination Candidate, Missouri Presbytery (confirmed). Organist: John Ahern, PhD Candidate in Musicology, Princeton University (confirmed). Cantor: Paul Buckley, Music Director, Grace Presbyterian Church (PCA), Ocala, Florida (confirmed). Jeffrey Meyers, Pastor, Providence Reformed Presbyterian Church (PCA), St Louis. John Ahern, PhD Candidate in Musicology, Princeton University (confirmed). Liturgist: Caleb Skogen, Ordination Candidate, Missouri Presbytery. Organist: Sarah Davis, Geneva Academy, Monroe, Louisiana. Cantor: Paul Buckley, Music Director, Grace Presbyterian Church (PCA), Ocala, Florida. We welcome men and women from every Christian tradition. Each applicant must submit a letter of recommendation from a pastor or elder. Applicants will normally be college graduates. The cost of the program is $2,900 and covers tuition, lodging, meals, books and other required materials for both the summer and winter sessions. Students are responsible for travel to and from Birmingham. The summer session for the 2019-2020 Junior Fellows Program will be held July 18-July 26, 2019 in Birmingham. The January 2020 winter session dates are January 13-17. Click HERE for more detailed information about the schedule and required reading.